It’s been just over one year since I launched DevRel Weekly and what a year it’s been! The Developer Relations industry has matured a lot in the last few years and this past year was no exception. As many of you know, I launched DevRel Weekly to make sure Developer Relations professionals had the resources that they needed at their fingertips. In the 10+ years that I spent building technical communities at various companies, I always struggled to find relevant content written by other community builders. It often felt like I was alone in my search for resources to show me how best to foster relationships with and advocate for these community members. My mission for DevRel Weekly is to save people the time and effort of scouring the web for resources, instead giving them the time to focus on growing a team, proving business value, and building relationships with their community. I’ve heard from many of you that it’s done just that, which I’m so grateful for! @mary_grace's new DevRel Weekly is jam packed with super-valuable content that's really relevant to my role. I get so pumped when it I see it land in my inbox! An unexpected outcome of curating the newsletter over the past year is that it’s given me a glimpse into trends and patterns throughout the industry. As a consultant it’s important to stay on top of the latest conversations, and it turns out, we’re a talkative bunch! With the help of my brilliant Content & Sponsor Strategy Manager, Danielle Andrist, I sort through an average of 600 links every week tagging and categorizing everything I plan to use. If you think that number is large, you should know that thanks to Zapier’s filters, which I have a love-love relationship with, we don’t see an additional 1,500 links every week that we’ve deemed irrelevant due to incorrectly parsed search terms (for example, news from a community college who’s hosting a technical writing seminar, resulting in a “technical community” search term). As you know, after sifting through all of those links every week, I write up a quick blurb about the articles, make sure all the links work and everything looks pretty, and then hit the trusty “schedule” button. Then all of the articles and tweets that I referenced get archived into the abyss that is my Pocket archive. 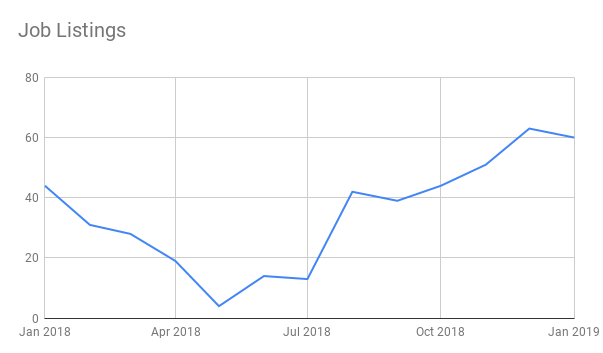 And while I’ve picked up on a few trends without analyzing any data (for example, the number of “this is what I do as a DevRel professional” posts have increased significantly throughout the past year), I wanted to dig into the actual data. What tags were used most? Where were the trends? Were particular tags interacting in unexpected ways? that allowed me to dig into this data and analyze the results! The `strategy` tag spiked at the end of every quarter like clockwork, which makes sense. Everyone’s digging into planning for the next quarter and either desperately seeking advice or posting observations of what went well and what could have gone better. 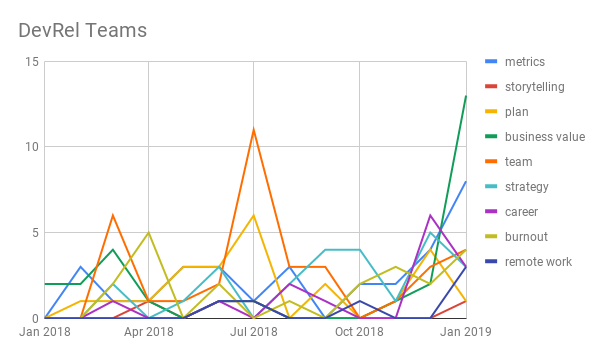 Similarly, the `advice` tag which feeds the DevRel Advice Column spiked in June/July and October/November when teams are often engaged in H2 or next-year planning. Speaking and travel tips spiked in October, one month after the traditional “conference season” started. These tweets and articles were a combination of observations made (Pro Tip: Don’t do “x”) and suggestions on how to do things “the right way.” These categories also included a handful of tips and tricks on how to survive the rest of conference season. Twitter controversies in November & December caused an influx of introductory articles (“What Is DevRel?” or “What is Developer Advocacy?”) as well as “Here’s what I do as a DevRel Professional” posts (represented by the `my story` tag). For the most part, we as an industry handled one hot take after another with grace, openness, and a listening ear. After all, it’s important to understand why so many people in technical roles aren’t familiar with Developer Relations, and why others are so offended by what we do and how we represent ourselves. There were a lot of polls, a lot of conversations held in DMs, and a lot of great information released as a result. While some people are frustrated by the fact that we’re still having conversations around DevRel 101, I believe it’s a necessary stage of growth as we continue to establish our place in the technology industry. Conversations around burnout spiked in April and have grown steadily since October. Given that the two heaviest conference seasons are mid-January through April and September through November, it makes perfect sense that burnout would strike during these times. Nothing like being on the road for 2-3 months straight while also being expected to produce content, maintain relationships, assist other departments, and sustain lively social media accounts. The one surprising item to me is that there wasn’t a spike in May, which is Mental Health Awareness Month. The spikes themselves, however, don’t catch me by surprise. As someone who’s struggled with burnout, I know all too well how easy it is to get caught up in the day-to-day chaos and forget to put my oxygen mask on first. The `jobs` and `teams` tags both spiked in July. My hypothesis is that mid-year is a great time to take stock of the year’s goals and what still needs to be done, evaluate how the team is holding up, and figure out how to finish the year strong. My question is this: Most companies get yearly budgets and headcount approved in December or January. The influx in job postings started in July and continued to go up through the end of the year. Was this due to new job opportunities that had taken 6-7 months to get approval and write job descriptions? Were these new listings, replacing older job descriptions that hadn’t been effective? Or was there truly just a huge increase in open headcount over the past 6 months? The `business value` tag was one of the earliest tags that I implemented. It was on my mind not only because of the title of my book but because I was in the throes of launching my business, which focuses on helping companies define the value that DevRel provides. However, there was a clear spike in the usage of this term after my book was published in October 2018. Is it possible that it was used more as a result? Or did the Nov/Dec controversy cause this spike as well when people took to the web to defend their profession? Lastly, Content and Developer Experience topics dominated the technical aspects of DevRel. From how to write engaging technical content to how to improve the Developer Experience on your site, people were invested in getting their information out there in ways that their community would not only find enlightening but interesting. I’m curious if these topics are popular because we haven’t quite cracked the code of best practices in these areas, or if this steady increase in content is indicative of a move to more developer-focused websites and resources. This could also be a way to show that DevRel is more than just traveling to “exotic” locations and staying up late rubbing shoulders with influencers at evening events. If you have thoughts or hypotheses of your own, feel free to leave a comment below, reach out on Twitter, or shoot me an email. I’ve greatly enjoyed digging into this data and look forward to unlocking more information throughout the next few months. Want to see more graphs? I appreciate your geeking out about this with me! Click here to view all of the graphs. So what do I expect to see in the next 52 weeks as a result of this data from the past year? I’m collecting more data on a continual basis. Every week, I’m finding more blogs to follow and topics to search for. I fully expect to be sorting through something more like 1000 links every week as a result. Filters will become a far more important feature! I’m starting to discover more non-English articles and tweets. For me, as a native English speaker, these are harder to parse and take a little more effort to determine whether or not to use them in the newsletter because of the language barriers. My current plan is to continue collecting them and tagging them appropriately, whether or not I’m using it in that week’s newsletter (more on that below). People are talking about DevRel more. As our industry starts to mature, more content is made available. More people are tweeting, talking, and blogging about what DevRel is and how it works within various companies than ever before. I’ll have a more complete set of data. As more articles are published and more conversations are had, I’ll be keeping tweets and articles that I don’t include in the newsletter, as well as those that get published. They’ll be tagged and archived appropriately, allowing me to have a better view of just how many articles are tagged with `burnout`, `content`, or `devex` throughout the year. For those of you who are concerned that this will make for an even longer newsletter, don’t dismay! I’ll still be sifting and curating the cream of the crop. I’ll still choose the best articles, the best tweets, and the best tips to pass along to all of you. I’ll simply be more aware of the trends behind-the-scenes. Interested in more behind-the-scenes info? Keep reading to learn about how to get access to special insights & videos. Next, I expect to see an increase in the number of available jobs. At any given time, I’ve had upwards of 100 available job listings in the Toby Collection that I maintain for the newsletter. This number shows no sign of flagging and I’m seeing more and more companies post Developer Relations jobs every day. This includes Developer Advocates, Technical Content Managers, Technical Evangelists, Community Strategy Managers, and more. Additionally, I’ve seen an uptick in the number of more experienced DevRel roles. From “Senior” and “Lead” to “Head of” and “Director”, it’s encouraging to see more companies building out career ladders for DevRel professionals. As more people are publishing articles about what Developer Relations is and the value that we bring to the table, I believe we’ll reach a point of greater stability in the DevRel industry. 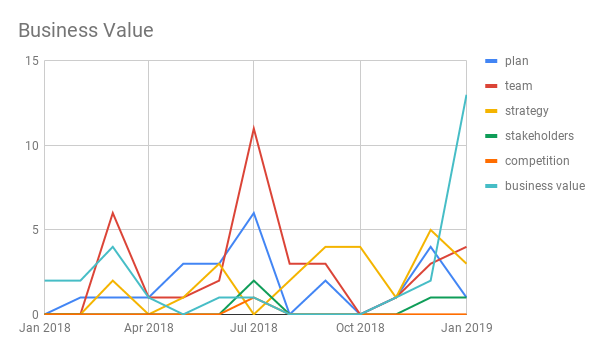 As I mentioned above, the negativity that we faced toward the end of 2018 spurred a flurry of posts around the DevRel industry. With each of these resources, we’re getting closer to a universal understanding of DevRel. The influx in content is encouraging to me. As I said at the beginning of the article, when I started exploring Community Management at O’Reilly Media over a decade ago, Jono Bacon’s The Art of Community was still in the works and it was a struggle to find others who were familiar with what I was doing on a day-to-day basis. I remember the excitement of finding just one person who not only understood but identified with my chaotic schedule and inability to describe what it was I did every day. Now, thanks to Dave Josephsen and Flo Motlik, who pulled me into the first “Benevolent Dictators” group, we have the DevRel Collective, which provides a support group for 1000+ DevRel professionals. There are at least 3 DevRel- and community building-related podcasts that I’m aware of, and a handful of other newsletters as well. All of these resources take time to create and I’m grateful for everyone who has contributed in some way to the now-plethora of information that exists. The key is to share opinions and observations backed with data in a way that makes sense to the business stakeholders around us (storytelling, anyone?). All this to say… I love this newsletter and I love this community. I’m so grateful that I took the leap and decided to start this newsletter a year ago. However, I’ve also realized in the past year that creating a weekly newsletter is difficult! While I enjoy curating the content, it takes anywhere from 6-10 hours every week for me to sift through all of the links and curate a cohesive newsletter. Additionally, as a achievement-driven person, having a project that ends every week and yet never truly ends is wearing at times. Don’t worry -- I’m not giving it up! However, I am looking for ways for this project to be more sustainable for me. One of the things I’ll be trying in the coming year is sprinkling some themed newsletters into the mix approximately once a month. By creating these “current best of the best” issues, I’ll be able to take a break when necessary, rather than pushing myself to release the newsletter no matter what else is going on. and in doing so, push the DevRel industry forward. Frankly, I’d love to spend more time on this work! It’s not only valuable to those around me, but it also excites and energizes me. To make this work, I’ve launched a DevRel Weekly Patreon. What does this mean for the newsletter going forward? TL;DR: Nothing’s going to change. The newsletter will continue to go out on a weekly basis for free to anyone who subscribes. But for those of you who are willing to take things one step further, I ask that you become a patron of DevRel Weekly. With your help, I can properly prioritize the work and also afford some much-needed assistance. Your monthly donation will offset the hours and money spent creating a high-quality newsletter every week and will allow me to continue producing content that advances the Developer Relations industry as a whole. With your support, I can continue to create this newsletter as a free resource for others just like you and me, who care about our technical communities and want to do our best to advocate for their needs. As a token of my appreciation, I'll be maintaining up-to-date versions of the themed newsletters that I mentioned above, updating them as I find more excellent information to include. In addition, I’ll be uploading behind-the-scenes videos showing how I put together the newsletter, as well as offering insight into my consulting business. You'll also have my deepest gratitude. As cheesy as it sounds, your emails, tweets, and DMs are what keep me going when it seems like this is a never-ending project. Knowing that I'm providing value for those around me is an incredible motivating factor for me, and I'm so thankful for those of you who have taken the time to reach out.